ERIC WINNER: Do You Use Your Brain to Bet? Do You Use Your Brain to Bet? It's a topic of interest. What's that you ask? When betting, what is the first thing you do? Because from my experience far too many punters don't use their noddle when it comes to making their betting pay. For instance, you are going to place a wager with betbrain.co.uk. You have a horse in mind because one of the pundits on Racing UK spoke of the horse in glowing terms. 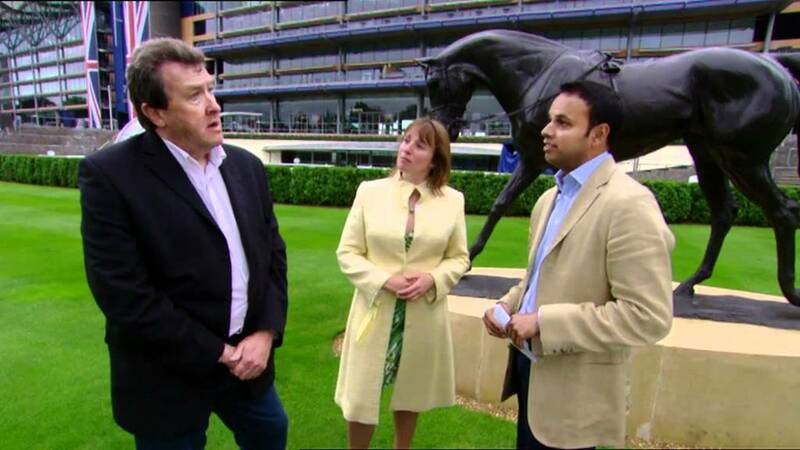 Compared with many platforms the likes of Lydia Hislop and Steve Mellish know their horses. In fact, Mellish is quite a gambler and isn't afraid to put his money where his mouth is. However, I would always advise punters to do their homework and appreciate the background to why they fancy a horse to win. The problem with following a major name on TV is that they are unlikely to offer much value because they have a loyal crowd of backers. One successful tipster who exemplifies this notion is Hugh Taylor. You don't need me to say that his tips are often backed off the boards. If you get on early you can make a profit but if you miss the boat you are very unlikely to achieve value. Without value, you are going to lose money. So it pays to keep your distance from the crowd. The strength of any gambler is to know their niche. It could be following a handful of horse trainers, horses, race types or even bet on a new apprentice jockey who takes off a valuable 7lb allowance. In truth, it could be any number of things. To find your angle, you need to do your own research. I'm not saying to look at the last five years of data which can be viewed by using the Racing Post. You may glean a few pointers but you need to dig a little deeper to find information that sets you apart from the crowd. I can tell you this, very few gamblers put in the hours to reveal that seam of gold. I know a friend who has worked hard to find an edge and believe it or not he has won a lot of money and continues to do so. He didn't find it by listening to a punter on TV. Do you want to know a bit of everything or know one subject like you are a contestant on Mastermind? How much time do you have to research? Don't work so hard that you get feel stressed out by the process. It is important to enjoy what you are learning and bet with confidence. Start by paper trailing and then bet small stakes when you are confident you have found a winning edge. If you can't make your betting pay, then either work harder to find a winning angle or give up. Being a successful gambler is like being good at your job. You didn't just wake up one morning and be an expert in your field. Imagine trying to make a clay pot on a potter's wheel. Somehow, I don't think anyone would be interested in buying your ''pot''. But with time, effort and talent someone may call you an expert in your field.